Visit the official HPCET website and click on the results link. Enter your name, roll number and father's name and click on submit. Download and print your results. Himachal Pradesh Combined Entrance Test (HPCET) is a state level entrance exam conducted by HPTU (Himachal Pradesh Technical University) for admission intu various programs offered by HPTU. HPCET 2019 Result will be declared on 15/06/2019 for Bachelor Degree and 15/05/2019 for Master degree. Candidate can view and download the HPCET 2019 from the offical website of HPTU. Eligibility: The candidates can check their HPCET 2019 results online to know whether they are eligible for further admission process or not. Schedule: The HPCET 2019 result will be announced at 20th May 2019 on the official website of HPCET 2019. Procedure: Out of all the candidates who had appeared for the HPCET 2019 exam, the students who cleared the HPCET 2019 test will be given admissions to courses offered by the Himachal Pradesh Technical University. After HPCET 2019 result, Candidate will be called for Counselling process, if they cross aminimum cut-off of HCPET 2019, set by HPTU. Final admission will be done on the basis of counselling, Which will performed differently for different courses. 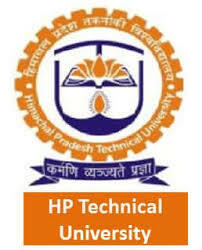 For any discrepancies/queries candidate can contact to the conducting body of HPTU i.e. Controller of Examination of HPTU. Official site: Go to the official website of HPCET 2019. Credentials: Candidates need to submit essential information like roll number, father’s name, and name. Next step: Click on the “Submit” button to view the HPCET 2019 results. Extra copies: Print and keep a few copies of the HPCET 2019 results for further reference. Admissions: Admissions will begin once the HPCET 2019 results have been declared by the exam conducting authority. Merit list: A merit list will also be prepared on the basis of the HPCET 2019 results. Candidates will then be shortlisted for counselling. Approx how much marks required in HPCET to get admission in govt. college ?